The islands of São Tomé and Príncipe were uninhabited at the time of the arrival of the Portuguese sometime between 1469 and 1471. After the islands were discovered by the explorers João de Santarém and Pêro Escobar, Portuguese navigators explored the islands and decided they would be a good location for bases to trade with the mainland. The flag of São Tomé and Príncipe consists of a red triangle situated at the hoist, with three horizontal green, yellow and green bands charged with two five-pointed black stars at the centre. 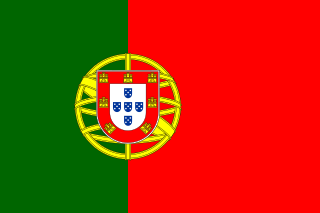 Adopted in 1975 to replace the flag of Portugal from the colonial period, it has been the flag of the Democratic Republic of São Tomé and Príncipe since the country gained independence in that same year. The design of the present flag was inspired by and is almost identical to the flag of the Movement for the Liberation of São Tomé and Príncipe. The Movement for the Liberation of São Tomé and Príncipe/Social Democratic Party is one of the main political parties in São Tomé and Príncipe. Jorge Bom Jesus is the current president of the party. Manuel Pinto da Costa is a Santoméan economist and politician who served as the first President of São Tomé and Príncipe from 1975 to 1991. He again served as President from 2011 to 2016. 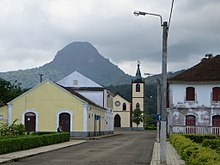 On 3 March 2002, São Tomé and Príncipe held its fourth National Assembly election since the introduction of multi-party politics in 1990. Voter turnout was 66.3 percent. The Independent Democratic Action is a political party in São Tomé and Príncipe. It was established in 1994 by the then president Miguel Trovoada and is a politically centrist party. Maria do Carmo Trovoada Pires de Carvalho Silveira is a former Prime Minister of São Tomé and Príncipe who served from 8 Jun 2005 to 21 Apr 2006. Patrice Émery Trovoada is a São Toméan politician who was Prime Minister of São Tomé and Príncipe from November 2014 to December 2018. He previously served as Prime Minister from February 2008 to June 2008 and again from August 2010 to December 2012. 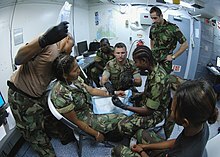 São Tomé and Príncipe is a Portuguese-speaking island nation in the Gulf of Guinea, off the western equatorial coast of Central Africa. 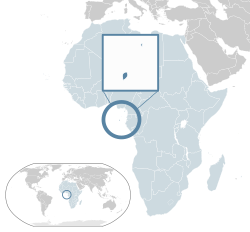 It consists of two archipelagos around the two main islands: São Tomé and Príncipe, located about 140 kilometres apart and about 250 and 225 kilometres, respectively, off the northwestern coast of Gabon. This is a partial list of topics related to São Tomé and Príncipe. A presidential election was held in São Tomé and Príncipe in 2011, the first round beginning on 17 July 2011 with a run-off held on 7 August 2011. Incumbent President Fradique de Menezes has served the maximum two terms and could not constitutionally seek a third term. The final result saw former president Manuel Pinto da Costa, aged 74, elected in a narrow victory against Speaker of Parliament Evaristo Carvalho. Aurélio Pires Quaresma Martins is a São Toméan journalist, businessman and politician, who until May 2018 was leader of the Movement for the Liberation of São Tomé and Príncipe/Social Democratic Party (MLSTP/PSD).